The S.701 SART (Search And Rescue Radar Transponder) from SevenStar Electronics Ltd approved, and has been specifically designed with life-raft fitment in mind, as well as conventional carry-off use, is capable of auto activation in life raft installations, and is the smallest SART available today. It is the principal means of homing in the Global Maritime Distress and Safety System (GMDSS). Its exceptionally low power consumption makes it unique, as it is the first SART that can use non-hazardous batteries - safer, cheaper and easier to ship, deploy and stock. Its unique digital design brings new levels of sophistication, with guaranteed lifetime performance, reduced component count and increased reliability. S.701 is also unique because the SART electronics remain totally sealed during the battery pack removal and refitting – it is impossible to damage or de-tune the electronics, or allow the accidental ingress of moisture. PRO-5 Emergency Position Indicating Radio Beacon (EPIRB) is designed for operation within the COSPAS-SARSAT international satellite system. It fully meets the COSPAS-SARSAT technical specification latest issues, IMO reslutions, GMDSS requirements and SOLAS convention. 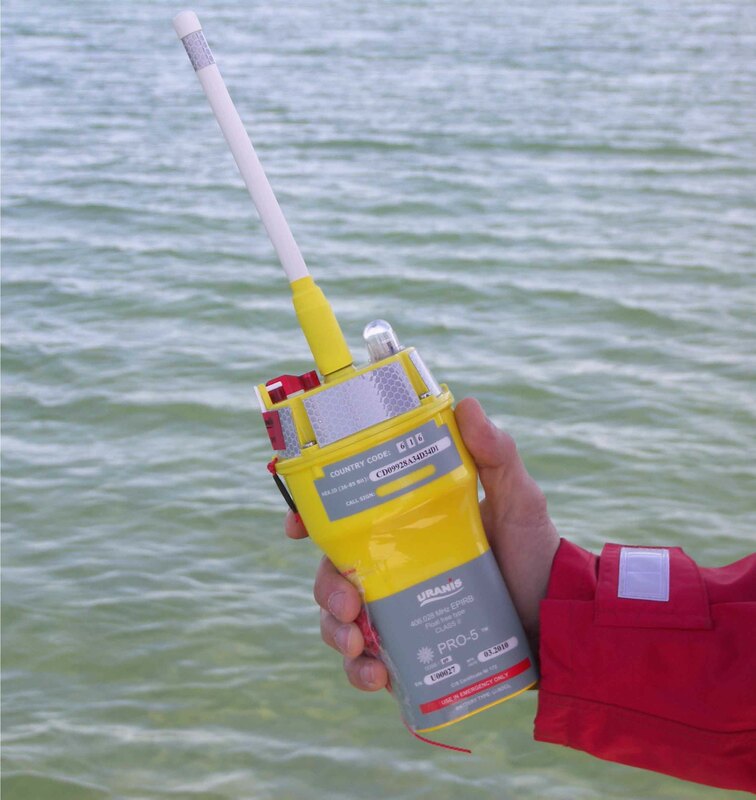 PRO-5 EPIRB is available in Float-Free version. PRO-5 is an open deck mounted device using hydrostatic release mechanism to be activated automatically on the water surface or manually. The manual bridge version of the beacon is also available. Three separate LED’s provide checking and 121.5 MHz transmitters and batteries. 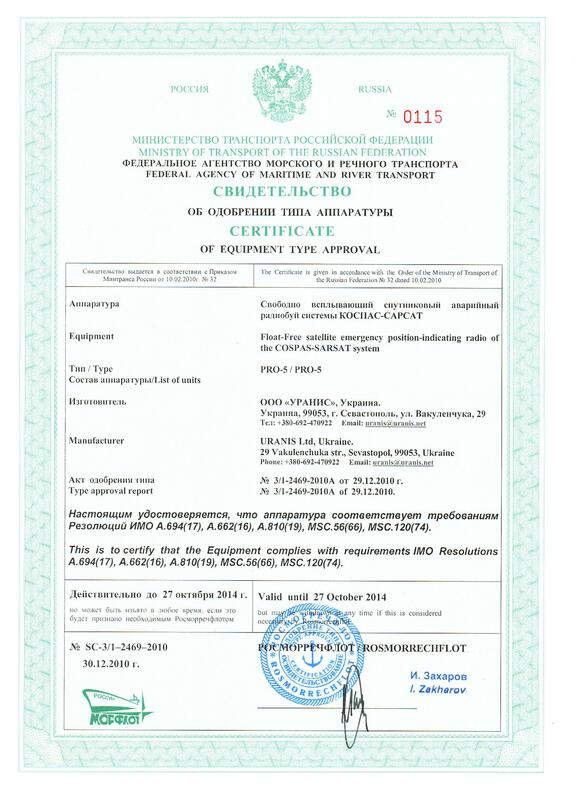 PRO-5 has successfully completed tests and was granted with COSPAS-SARSAT type approval certificate #172. PRO-5 EPIRB has been designed using the latest technologies. It has minimum size and weight, super low energy consumption. 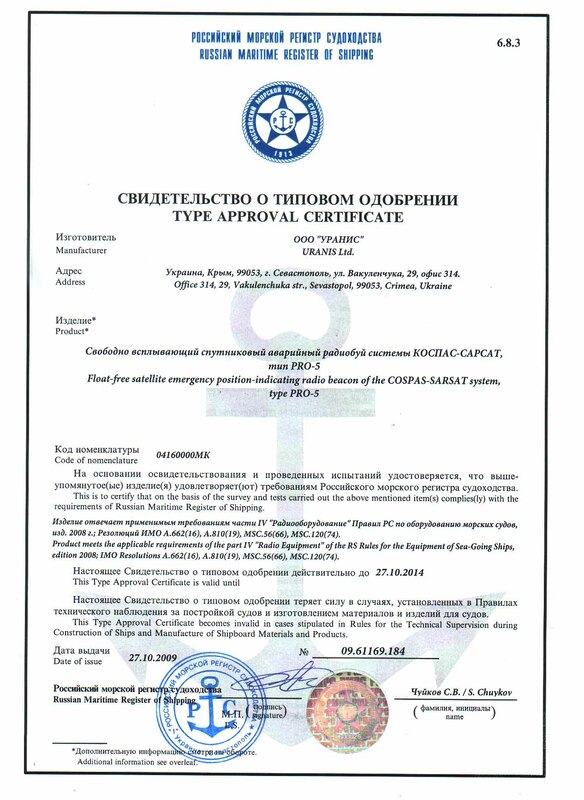 The EPIRB is MED (WheelMark) Certified and has also Shipping Register of Ukraine, RMRS and RosMorRechFlot, CCS (China Classification Society) approvals. PRO-5 is available through URANIS distribution network worldwide.